The # 1 Rated Infant Car Seat in America! Bring a little Magic with you on-the-go! 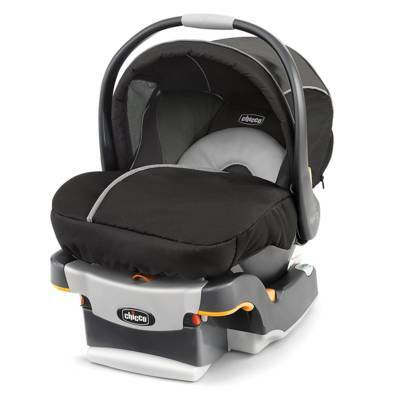 The Chicco KeyFit 30 Magic infant car seat is designed to accommodate infants from 4 to 30 lbs in the comfort of its premium, luxurious fabrics. The 5-point harness, energy-absorbing EPS foam lining, and reversible infant insert that offers both cozy suede and breathable mesh create a comfortable and secure environment for baby's earliest adventures out of the nest. The large canopy has a zip-out, extendable mesh panel to allow gentle breezes in, and the all-weather boot folds open while attached to give parents convenient full access to baby and harness. The vehicle base features a spring-loaded adjustment foot, two precision bubble level guides, and a centrally located LATCH tightening system for easy and secure installation from either side of your vehicle. Conforms to NEW FMVSS 213. Usage: from 4-30 lbs, Newborn Insert from 4-11 lbs.